Pickets outside the Newark factory on 15 March, which makes super-precision machine bearings, members of Unite the Union, told me why they are on all-out strike. Workers are determined to get back some work/life balance: "People have been off with stress and illnesses. If they can't get a proper rest the immune system hits rock bottom." In 2016, management foisted new shift patterns onto the G2 department: "We can work up to 200 extra hours a year, but not get paid until 13 months later. A maximum of 74 hours can be banked, but when nearly at 74 we're sent home mid-week - partners are at work and children at school. We then have to work the weekend." Instead of voluntary overtime, banked hours became compulsory - with disciplinary threats for not working weekends. Tipping point came last Christmas. Managers broke usual practice and workers got ten days' notice they were expected to work the weekend before 24 December. Everyone stuck together and no-one went to work. Disciplinary letters were sent out seven weeks later. Changes to shift times mean Monday to Thursday afternoon shifts finishing at 2am. Some workers, women and men, then walk home across town. Saturday and Sunday shifts have been split up so management gain an extra four hours' work on Friday nights, with the afternoon shift not finishing until 11.40pm. Unite members in the G1 section wanted to be part of this dispute. Although on different shift patterns they see the threat. 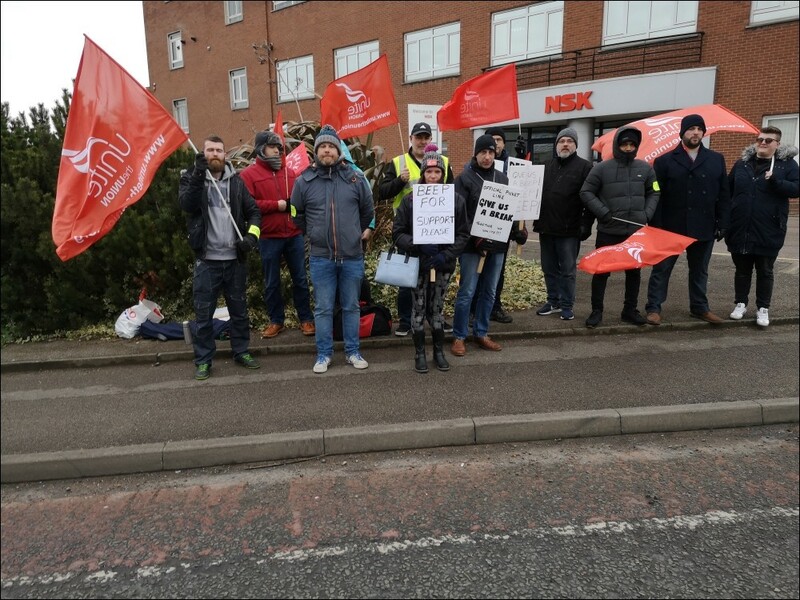 A company making huge profits with no consideration for its workers won't treat other sections any better in the future if it gets away with this.